Next year will be a huge one for the BMW M division. It’s quite possible that 2019 will be a record breaker in terms of the number of M cars that will be unveiled. 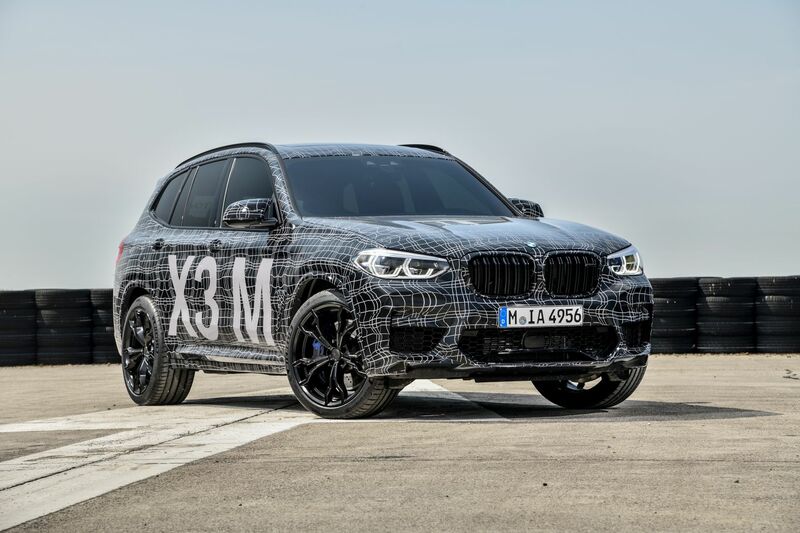 There’s no official statistic in this regard but since the BMW X3 M, X4 M, X5 M and M8 in three different body styles are all supposed to be launched next year, that may very well become the ‘Year of the M’. Things aren’t going to be easy for all these cars though, mostly because of the competition. In the case of the BMW X3 M and X4 M models, the competition is stiffer than ever. Admittedly, BMW did arrive a bit late to the game but maybe that was intentional and for good reason. After all, the M division prides itself to have the best handling in the segment and that’s a very high bar to reach when talking about SUVs. Yes, there has been massive progress done in the field but the laws of physics are still unbreakable. That’s probably why most owners will only use these high-performance SUVs in straight line drag races which is where the X3 M will have to excel and be at least on par with the competition. The two main rivals it will face are shown in the video below: the Mercedes-AMG GLC 63 S and the Porsche Macan Performance Package. The GLC 63 S will take on the X3 M Competition model most likely, while the non-S model will be aiming at the ‘regular’ X3 M.
On the other side of the strip is the Porsche Macan Turbo PP. It uses a 6-cylinder engine good for 434 HP and 442 lb-ft and it has a superior launch control system too. It may seem like it’s aimed more at the X3 M40i but this being Porsche, I think the X3 M could also trade blows with it to some extent. At the moment, the fastest car in this segment in terms of 0-62 mph sprints is the AMG GLC63 S with its 3.8-second dash. Since the X3 M is expected to come with over 500 HP in its Competition guise, and might weigh less, we’re in for some interesting races.